KIA CEE'D SW (ED) A 2010-10-01 2012-12-01 DIESEL D4FB 1.6 128. KIA PRO CEE'D (ED) A 2010-10-01 2012-09-01 DIESEL D4FB 1.6 128. KIA CEE'D Hatchback (ED) A 2010-10-01 2012-12-01 DIESEL D4FB 1.6 128. KIA CEE'D Sportswagon (JD) A 2013-03-01 DIESEL D4FB 1.6 110. IL PREZZO E' RIFERITO AL COREASSY TURBINA TURBOCOMPRESSORE. KIA PRO CEE'D (ED) 1.6 CRDi 90 1582 02/2008>09/2012 90 66 D4FB-L. Prodotti originali e nuovi. IL PRODOTTO E' COMPATIBILE PER I SEGUENTI VEICOLI. Codice Prodotto: HY4389. Entrata-Ø, mm 45. rete rad., 298X163. HYUNDAI i20 (PB, PBT) 1.6 CRDi Schrägheck 09.2008 - heute 116 85 1582 Diesel 5984 AAP. HYUNDAI i30 (FD) 1.6 CRDi Schrägheck 01.2010 - 11.2011 128 94 1582 Diesel 1349 AAJ. HYUNDAI i30 (FD) 1.6 CRDi Schrägheck 10.2007 - 11.2011 116 85 1582 Diesel 1349 AAK. 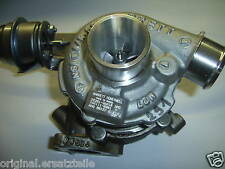 Part Manufacturer:THERMOTEC DA05001TT. The faster, safer way to send money. KIA PRO CEE'D (ED) HATCHBACK 1.6 CRDI 115 115 HP D4FB 2008.02-2012.09. KIA PRO CEE'D (ED) HATCHBACK 2.0 CRDI 140 140 HP D4EA-F 2008.02-2012.09. Radiator type: - Brazed cooling fins. Water tank material (radiator): - Aluminium. Cooling fins material: - Aluminium. NUMBER BEFORE BUYING. IN DOUBT WHETHER IT WILL FIT?. 17,000 positive. MAINLAND -24 HRS. Part Manufacturer:NISSENS NIS 96539. The faster, safer way to send money. KIA SOUL (AM) HATCHBACK 1.6 CRDI 115 115 HP D4FB 2009.02-. KIA SOUL (AM) HATCHBACK 1.6 CRDI 128 126 HP D4FB 2009.02-. KIA RIO III (UB) HATCHBACK 1.1 CRDI 75 HP D3FA 2011.09-. YOU TO CORRECT PARTS! AND WE WILL DIRECT. NUMBER BEFORE BUYING. IN DOUBT WHETHER IT WILL FIT?. 17,000 positive. MAINLAND -24 HRS. (incl: NORWAY & SWITZERLAND). If the item is used, we are unable to accept the goods back. Nissens KIA PRO CEE'D Intercooler 96562 1.6 ltr 02/08-02/13. KIA PRO CEE'D (ED) 1.6 CRDi 128. LAMBDA SENSOR. 2 Year Manufacturer Warranty Nissens Intercooler. RADIATORS NISSENS. 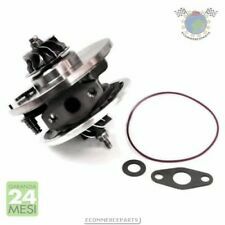 APEC BRAKE DISC & PADS KIT. Part Manufacturer:ELRING EL522350. The faster, safer way to send money. KIA RIO III (UB) HATCHBACK 1.1 CRDI 75 HP D3FA 2011.09-. KIA RIO II sedan (JB) SALOON 1.5 CRDI 110 HP D4FA 2005.03-. KIA RIO II sedan (JB) SALOON 1.5 CRDI 88 HP D4FA 2008.06-. 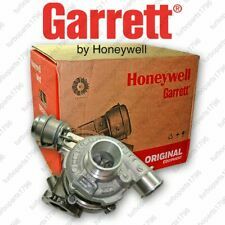 Part Manufacturer:GARRETT 766111-5001S. The faster, safer way to send money. KIA CEE'D SW (ED) ESTATE 1.6 CRDI 115 115 HP D4FB 2007.09-2012.12. KIA CEE'D liftback (ED) HATCHBACK 1.6 CRDI 115 115 HP D4FB 2006.12-2012.12. HYUNDAI i30 1.6 CRDi KIA CEED 1.6 CRDI. Questo prodotto sarà venduto solo in cambio con la vostra parte di vecchio o rotto. 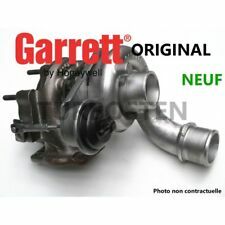 Mandaci il tuo vecchio turbocompressore in anticipo, quindi, non c'è nessun deposito.